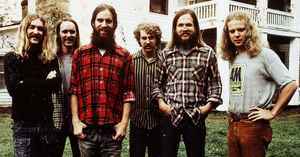 The Ozark Mountain Daredevils are a Southern rock band formed in 1971 at Springfield, Missouri. They are most widely known for their singles "If You Wanna Get To Heaven" in 1973 and "Jackie Blue" in 1974. Some have described the band's sound as a "countrified Steely Dan". The "Daredevils" name has much to do with the long hair and beards sported by the band in the 1970s, a rejection of the more conservative style of their native South during that decade. They are still around today with a cult like following.